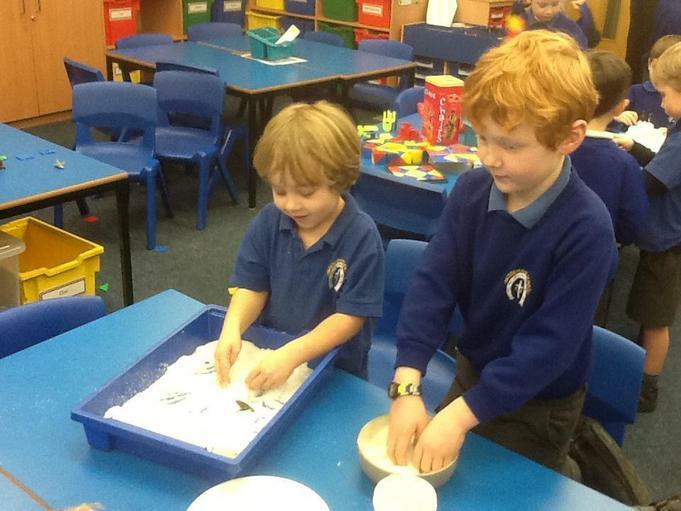 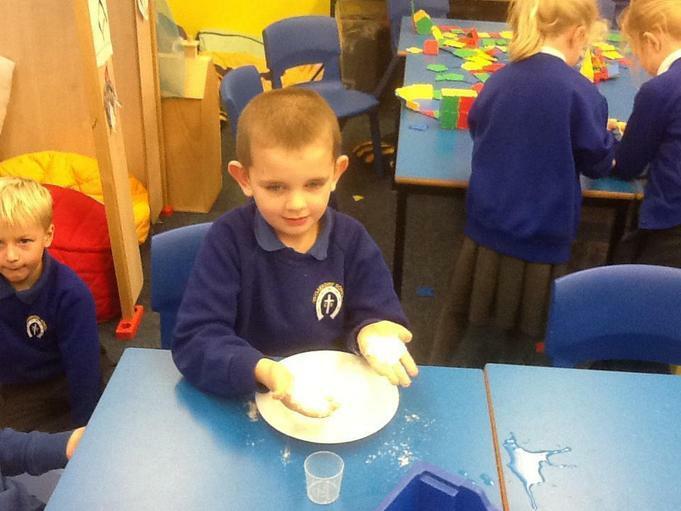 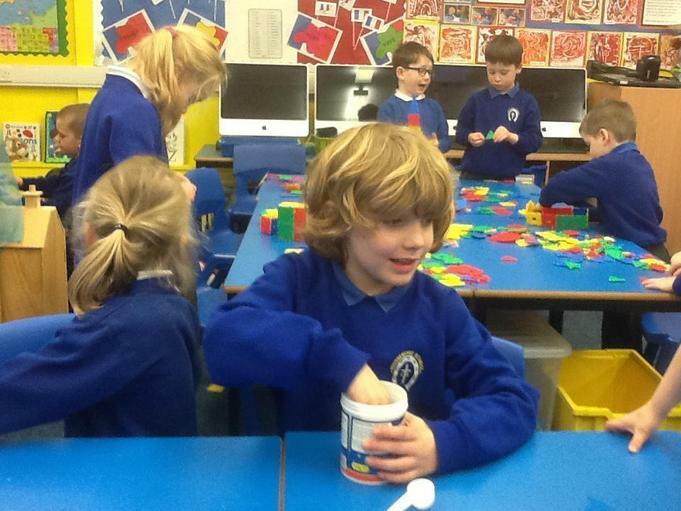 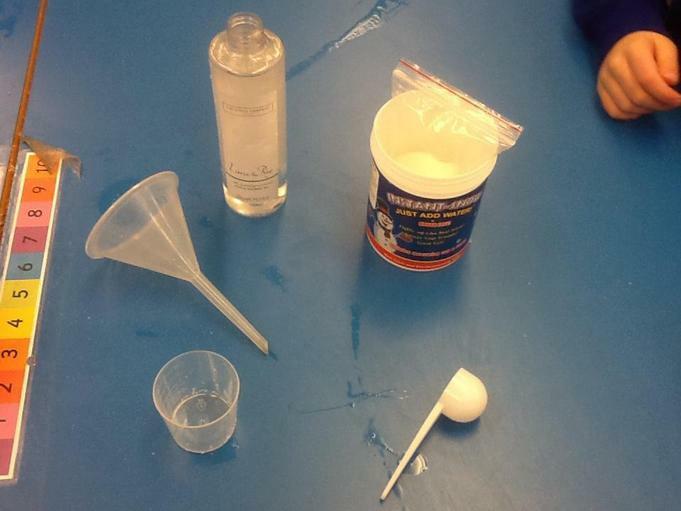 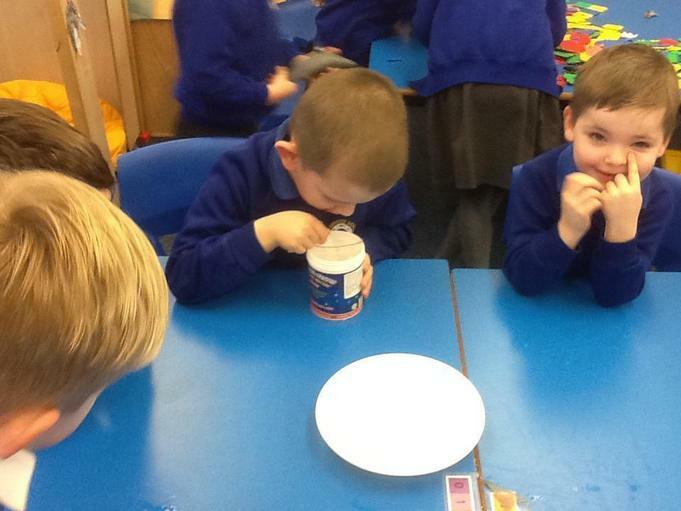 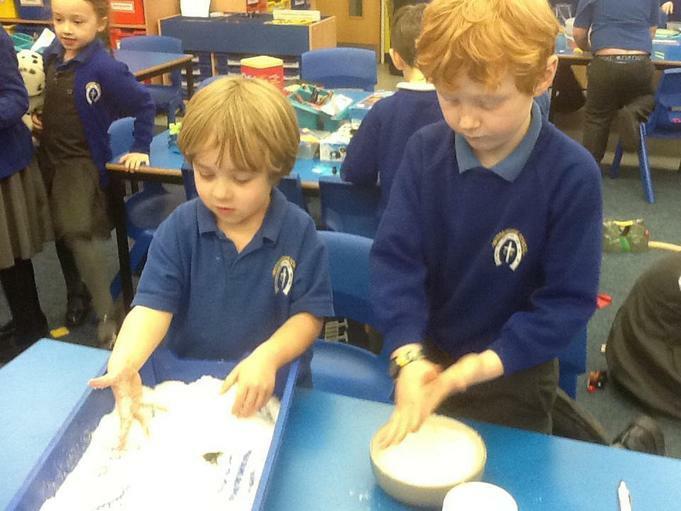 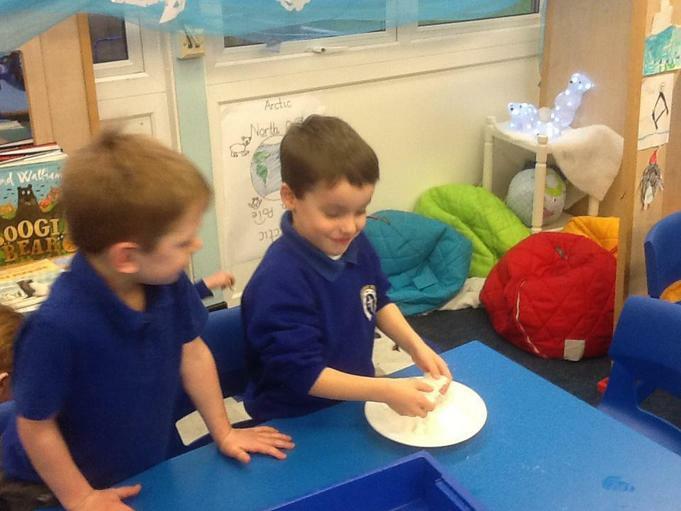 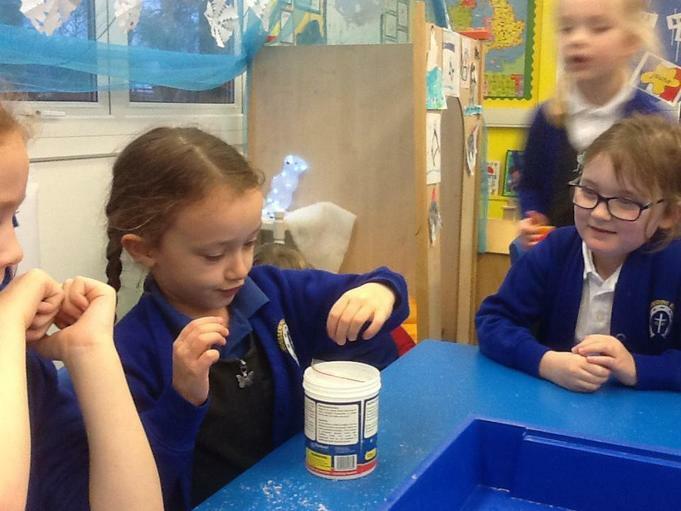 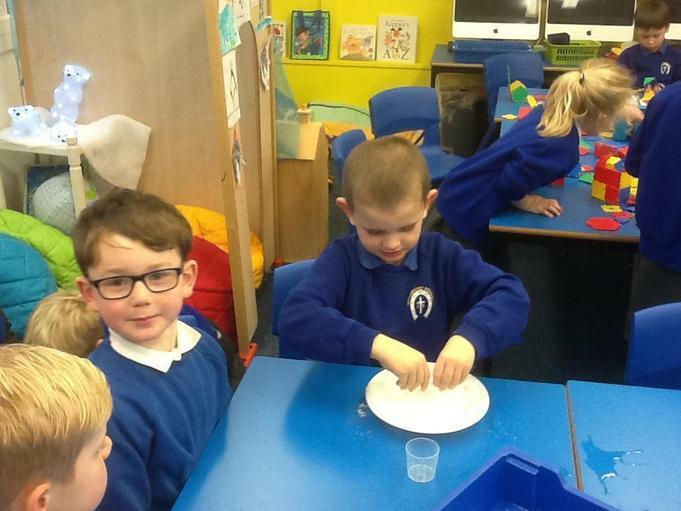 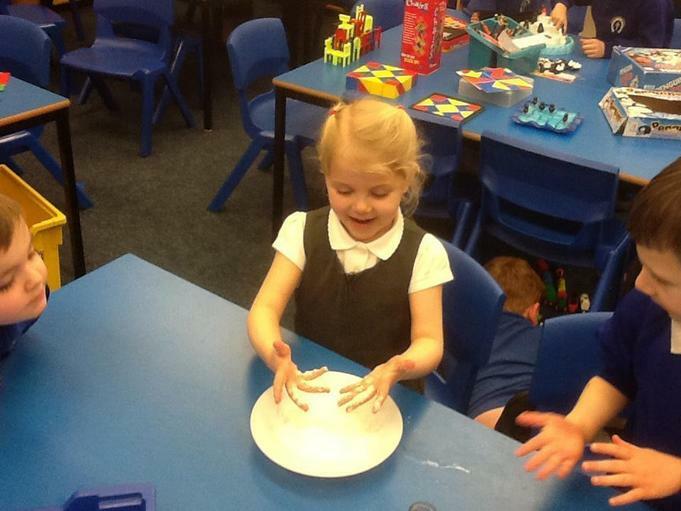 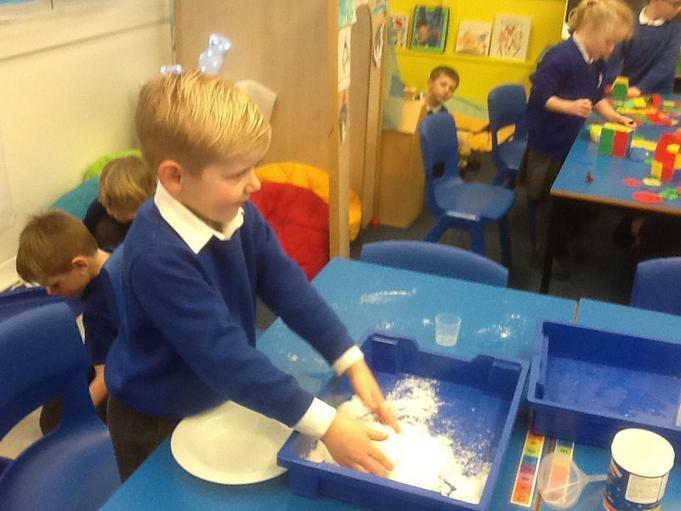 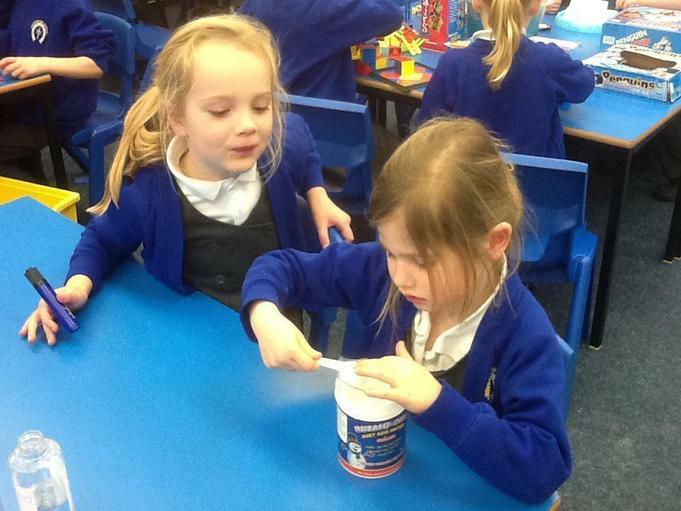 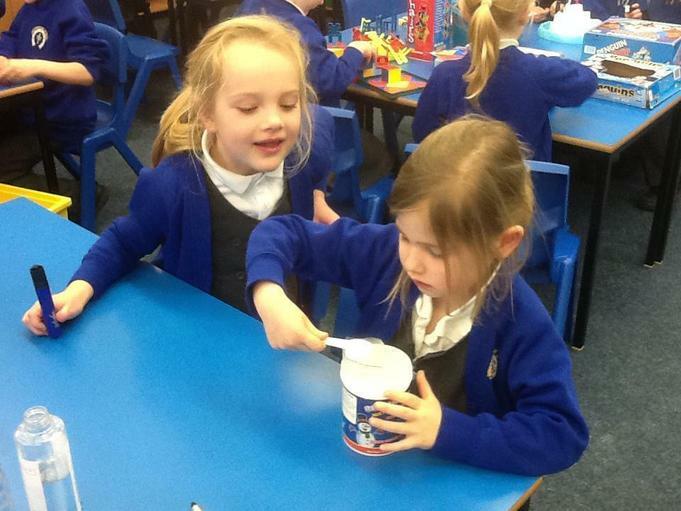 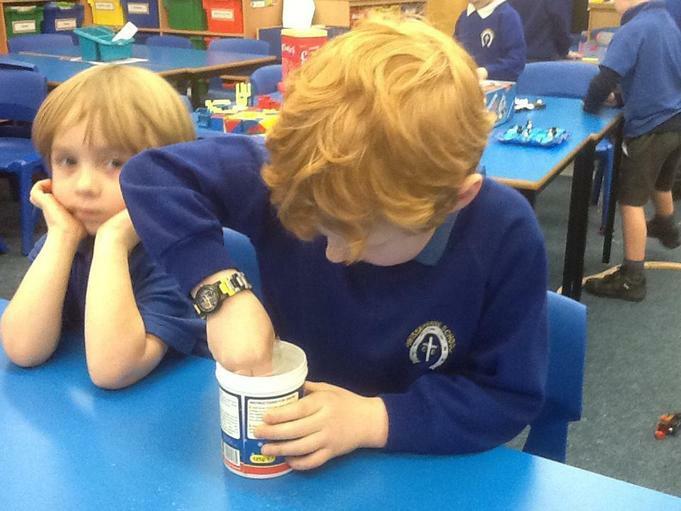 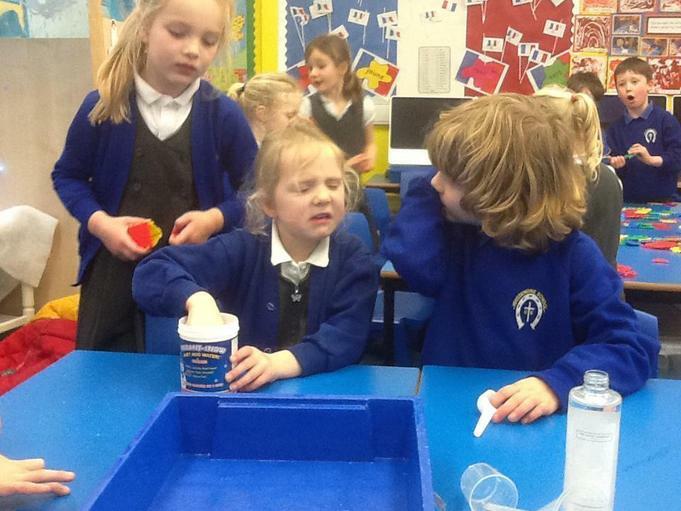 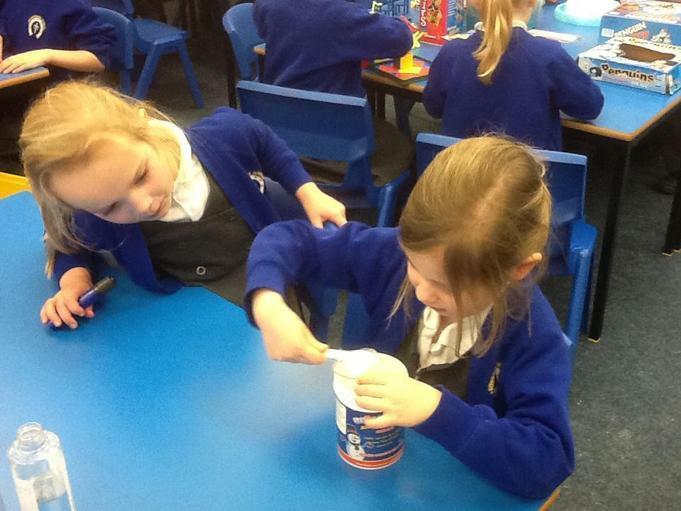 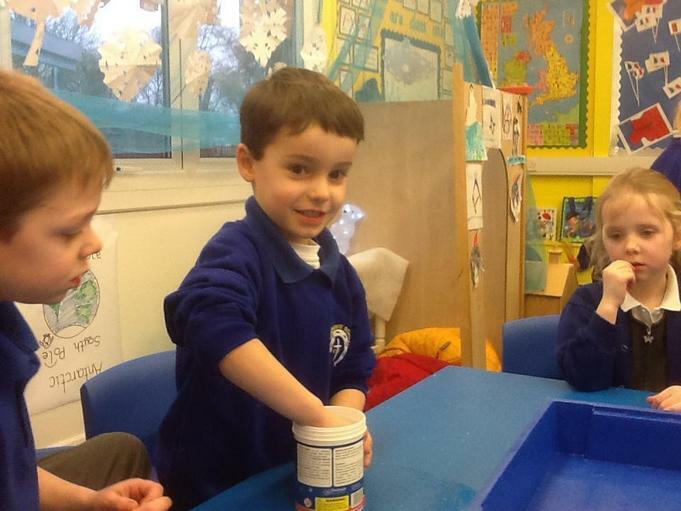 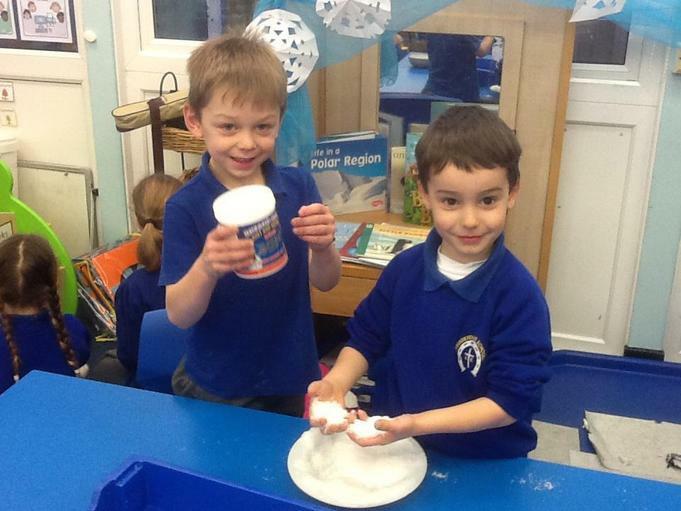 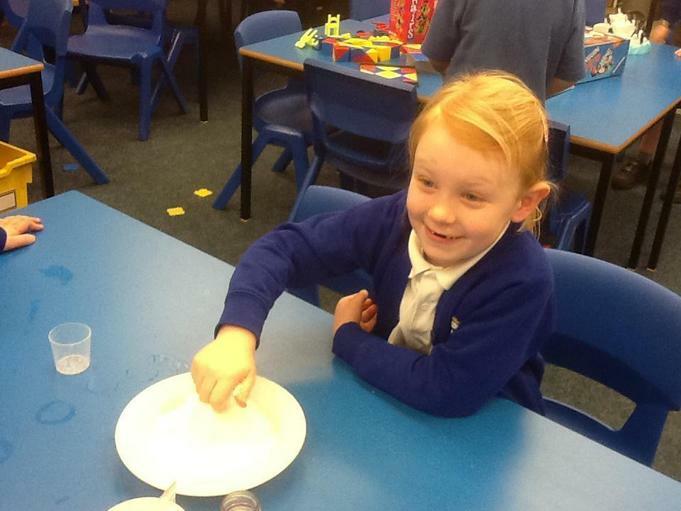 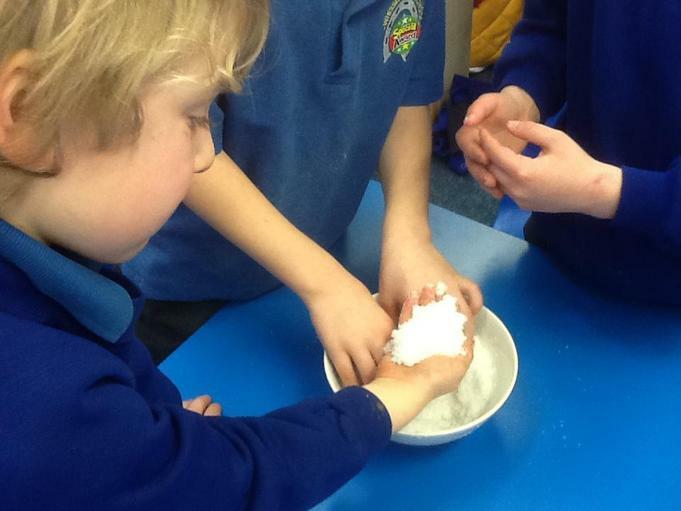 This afternoon we had a go at making instant snow! 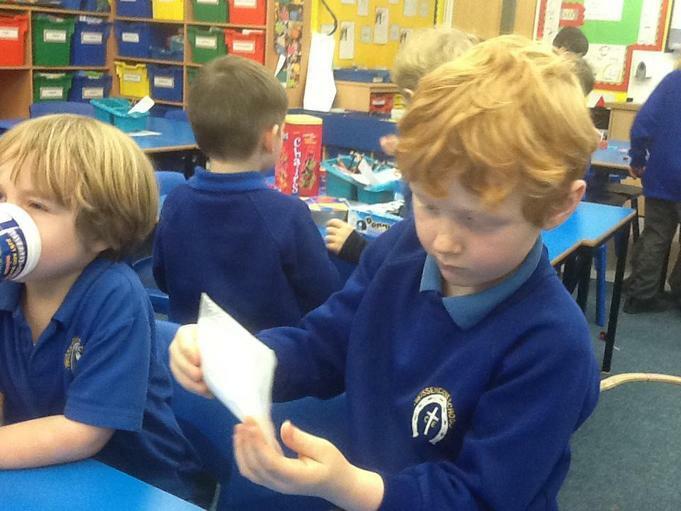 We started by looking carefully at the instructions and spotting those bossy verbs. 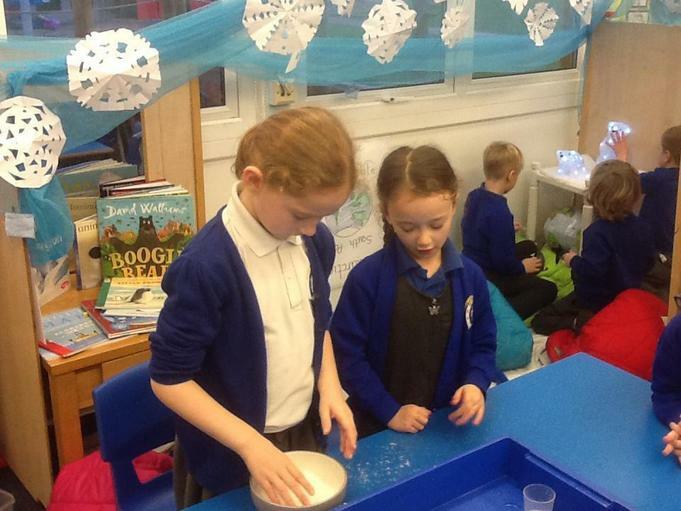 We took a look at the instant snow powder and decided it was like very fine sand. 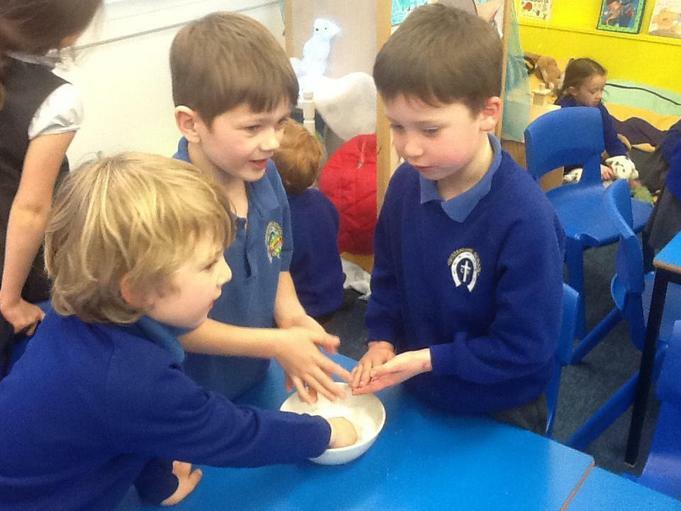 We could pinch it between our fingers and feel the little grains. 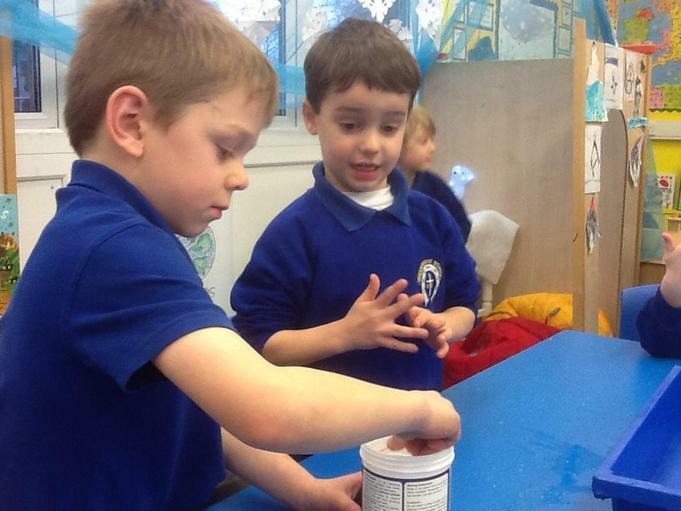 Then we followed the instructions to get 1 scoop of powder and 1 cup of water. 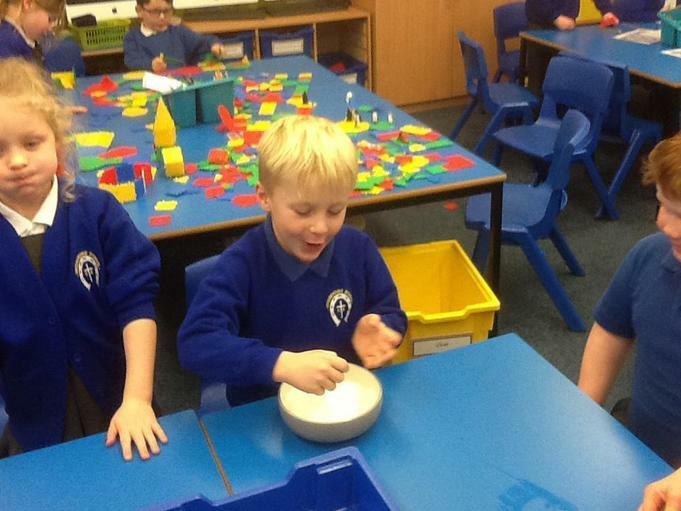 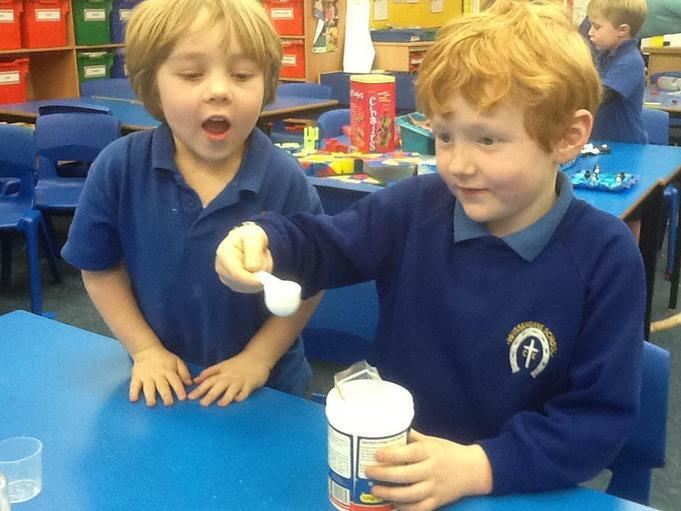 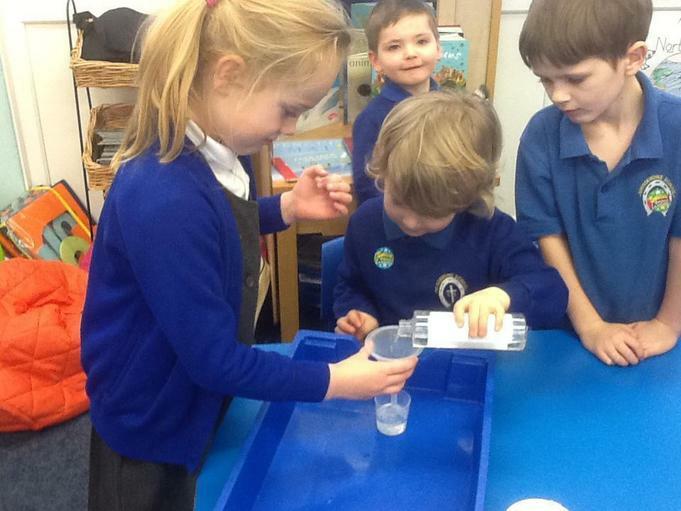 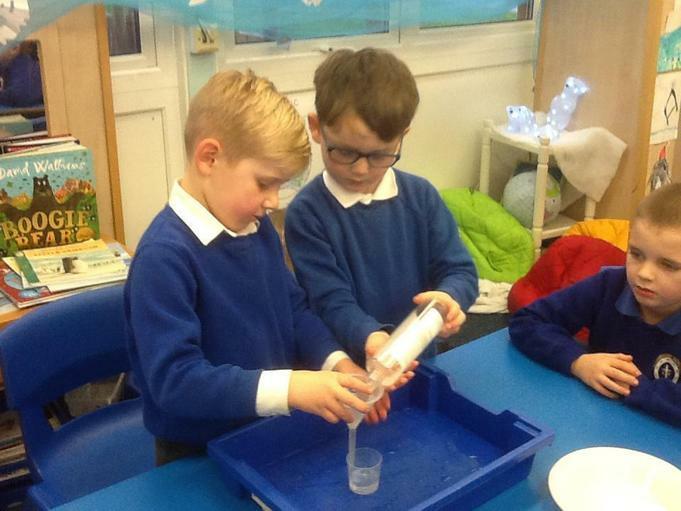 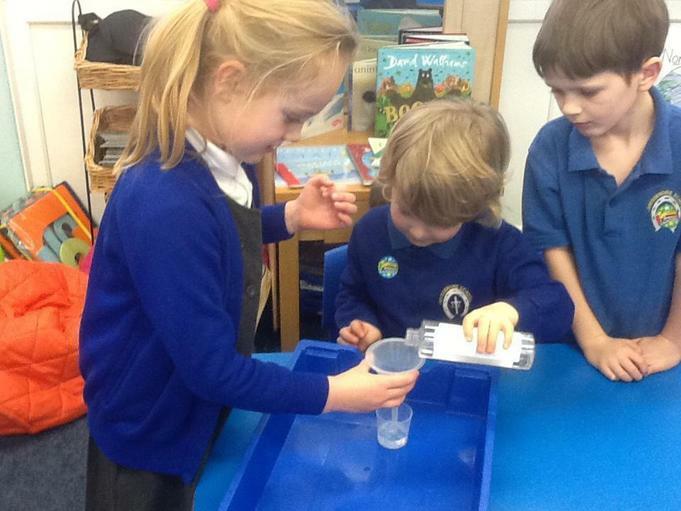 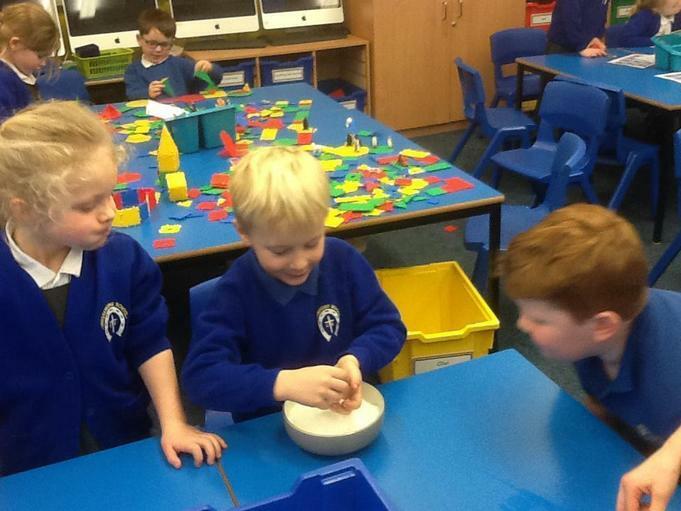 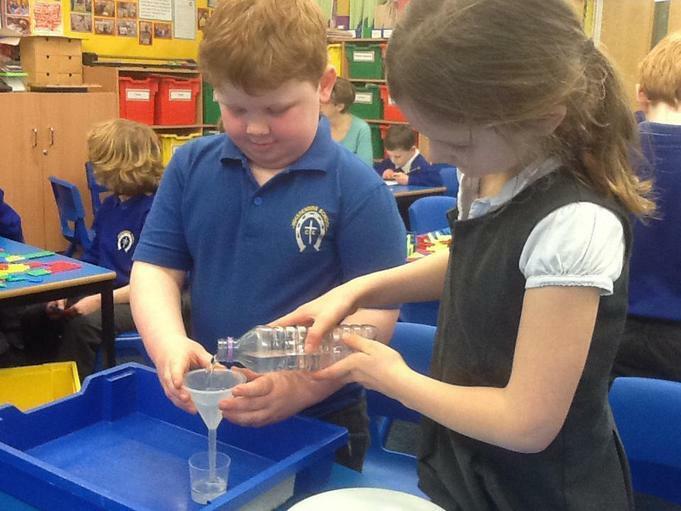 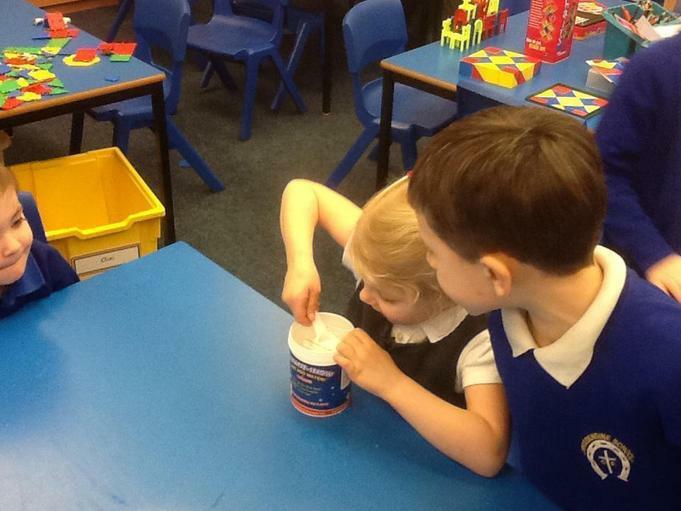 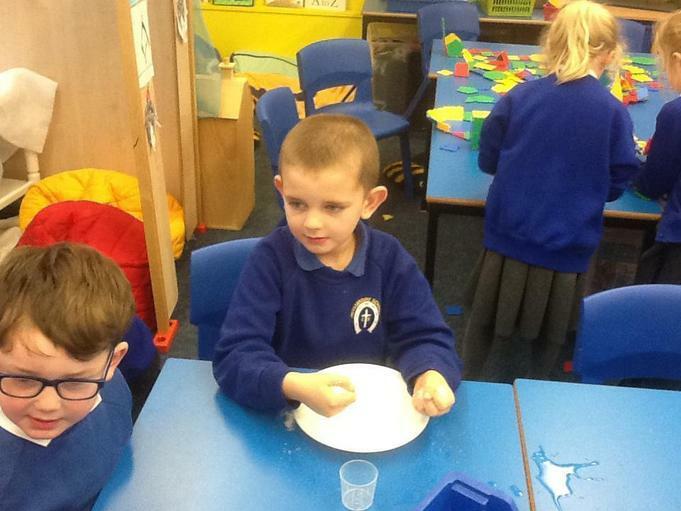 We used a funnel to carefully fill the measuring cup, making sure it was full to the top. 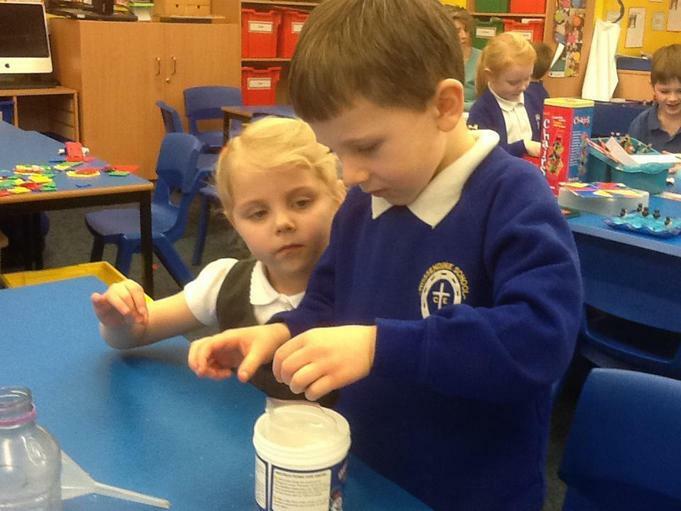 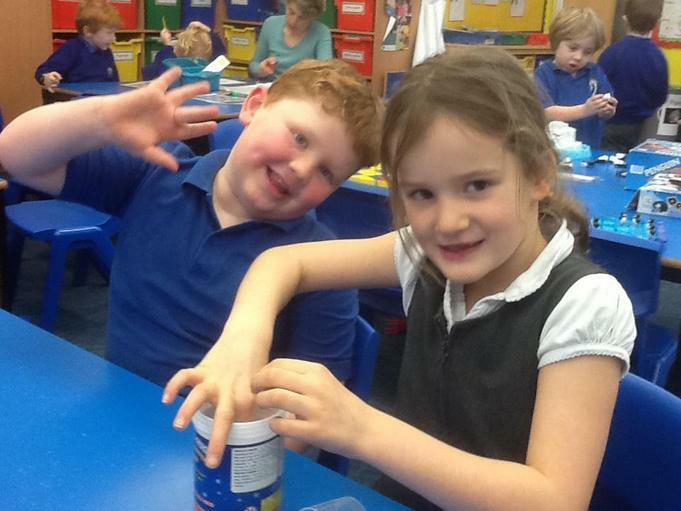 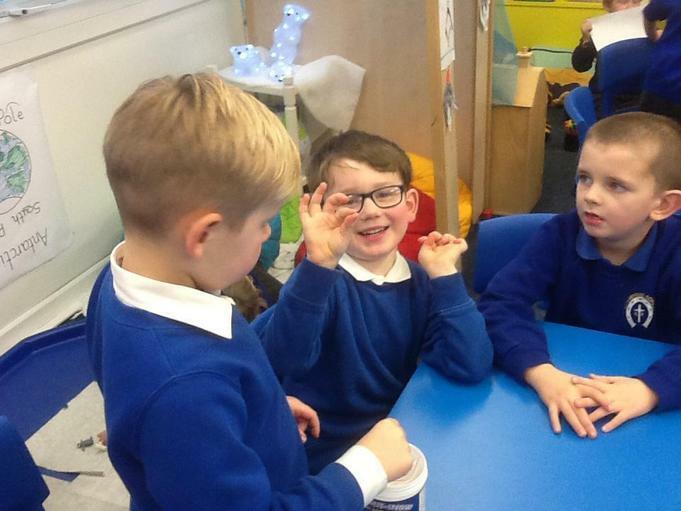 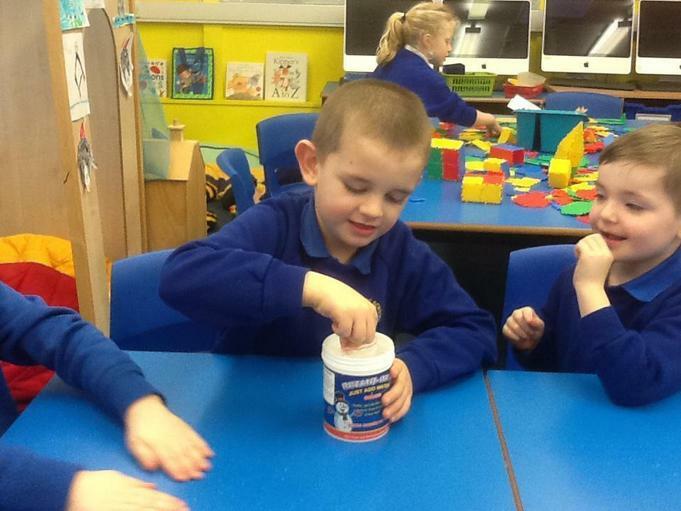 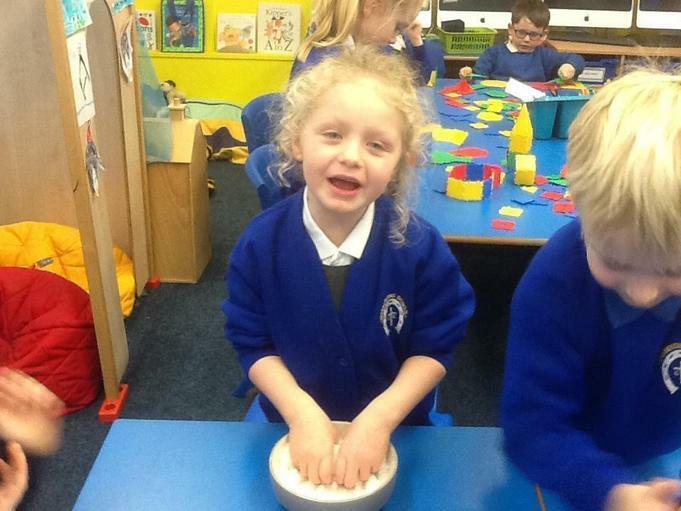 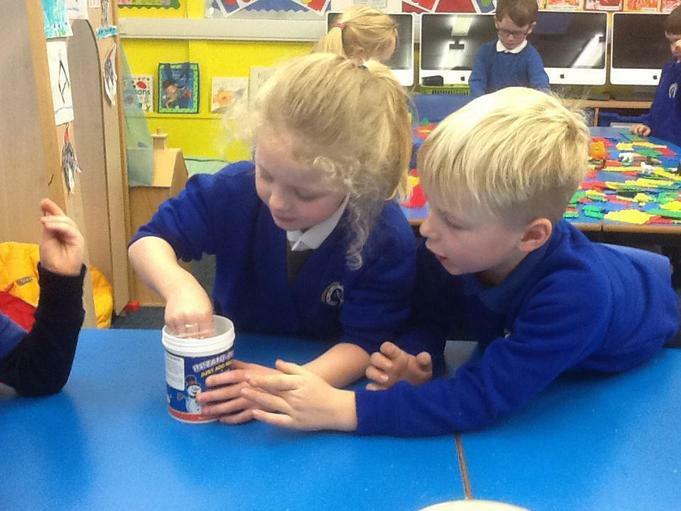 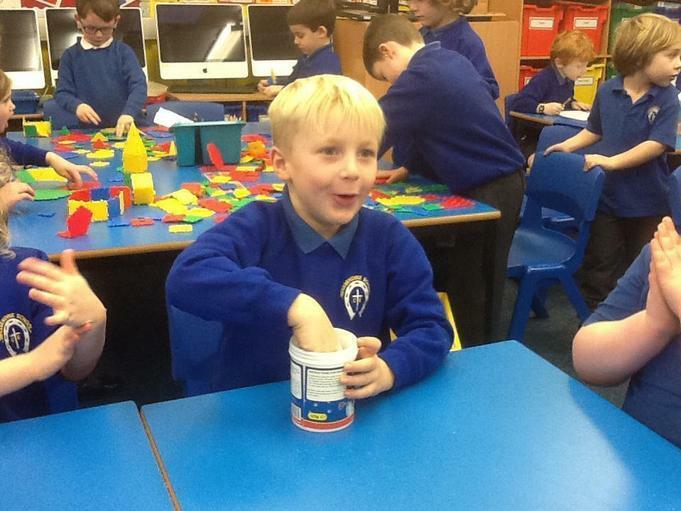 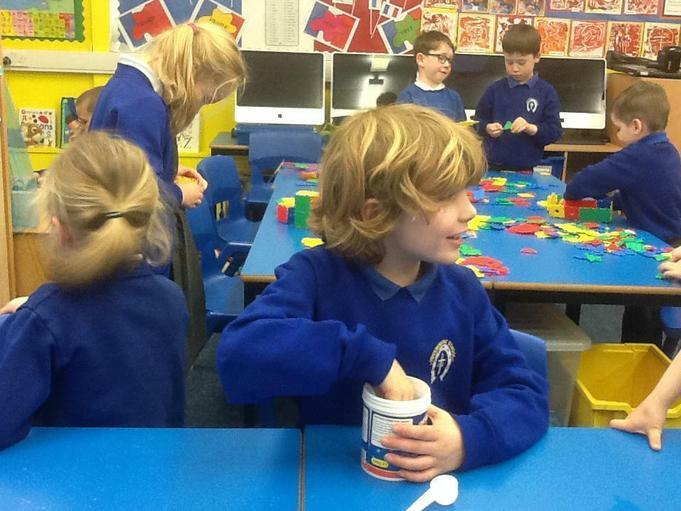 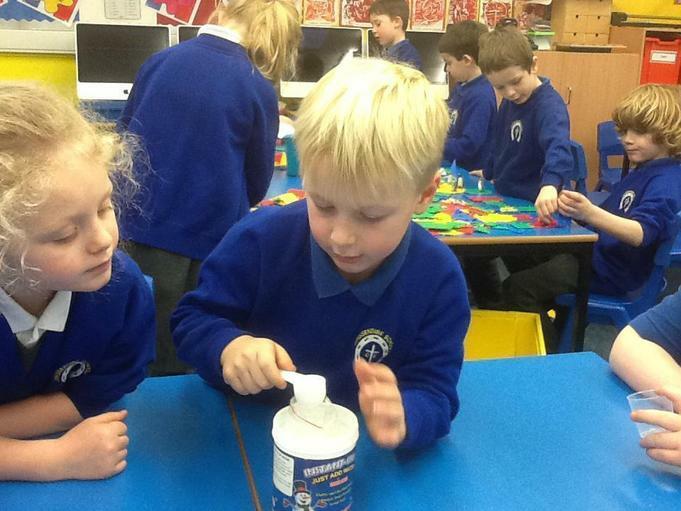 Great team work Class 1! 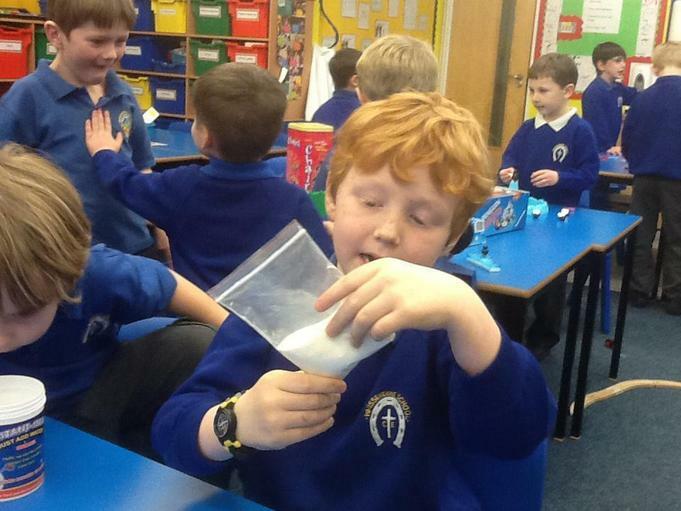 It really was instant. 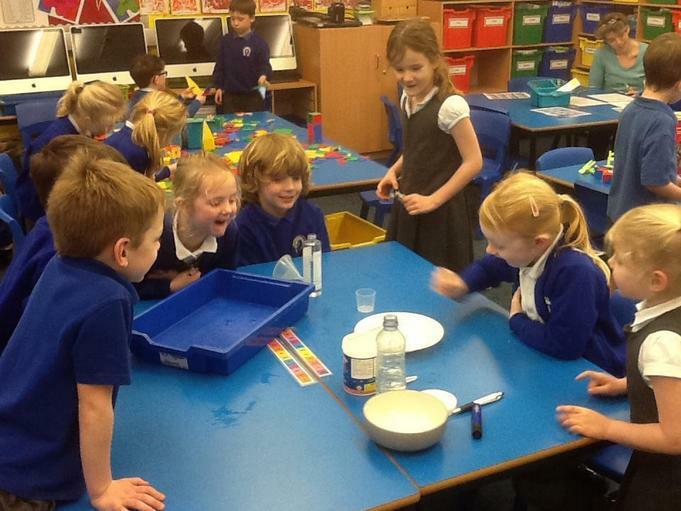 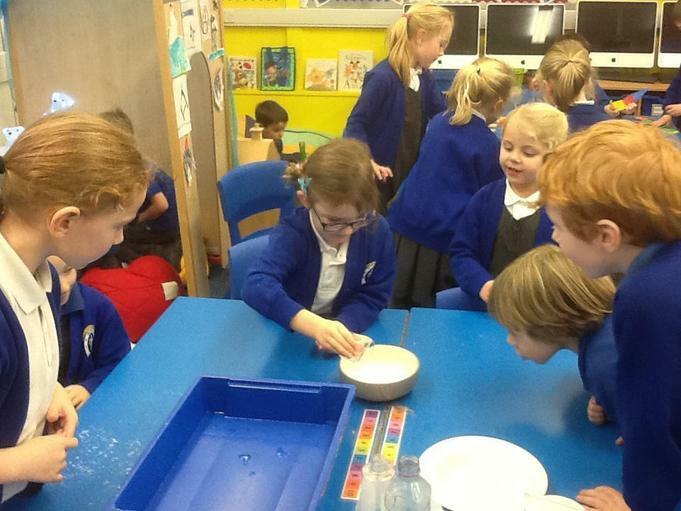 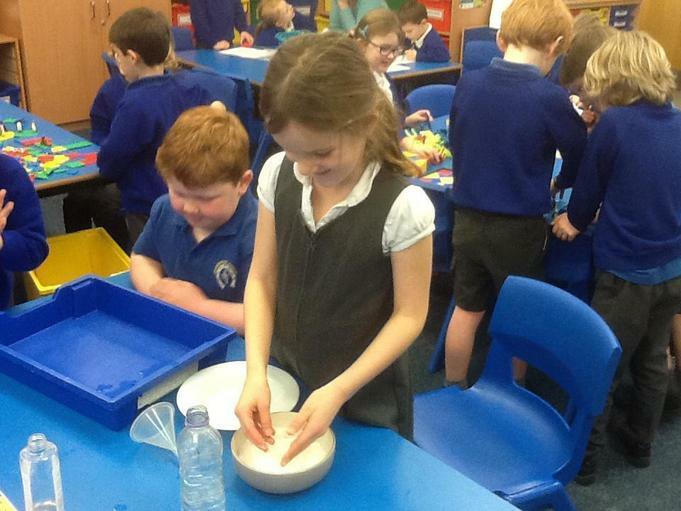 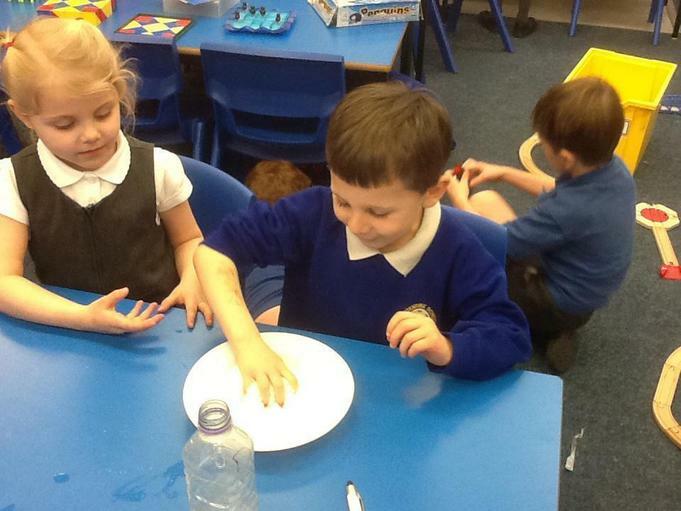 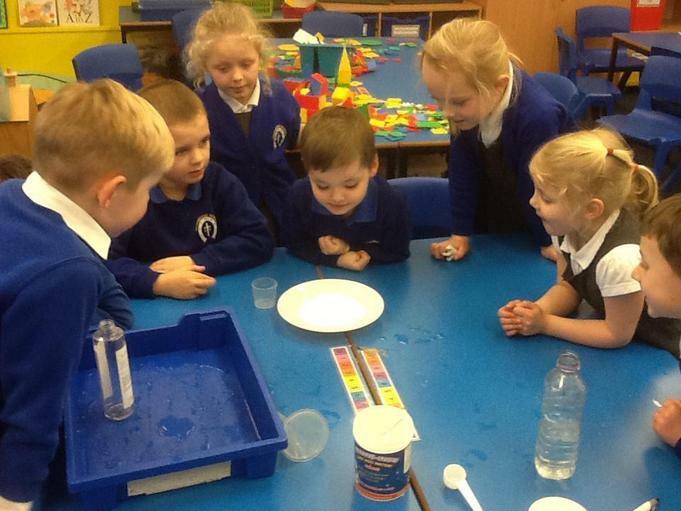 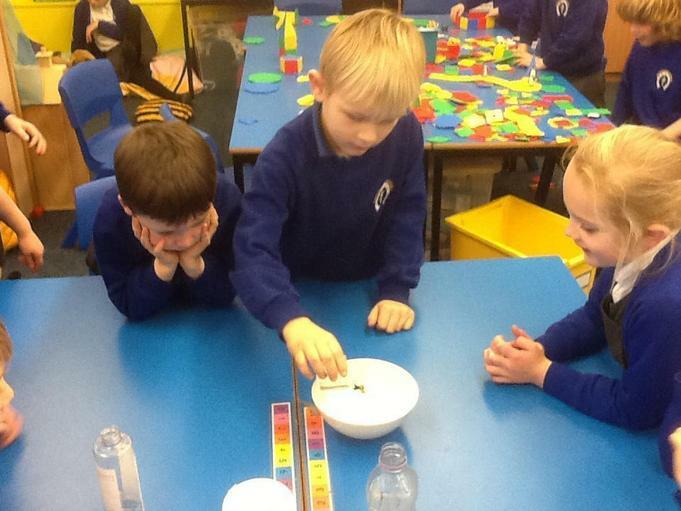 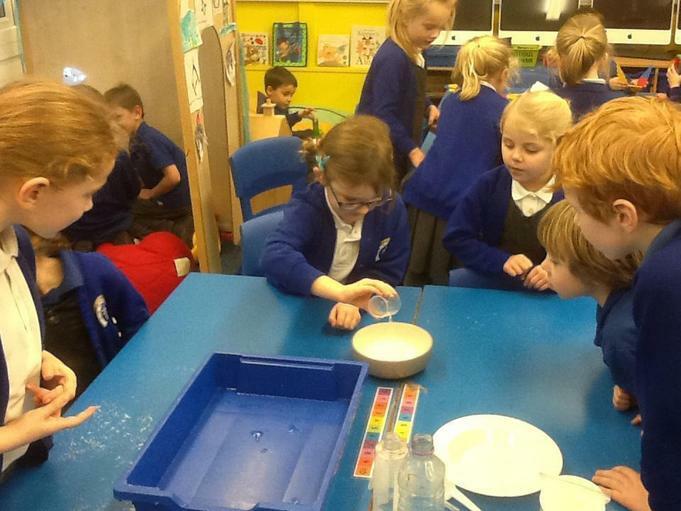 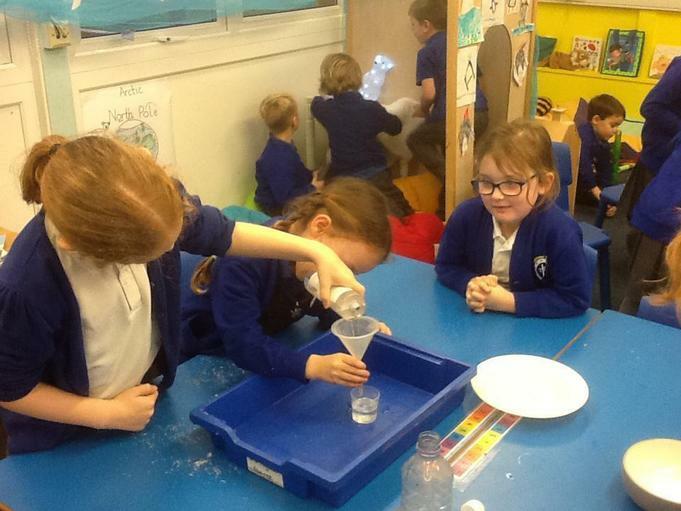 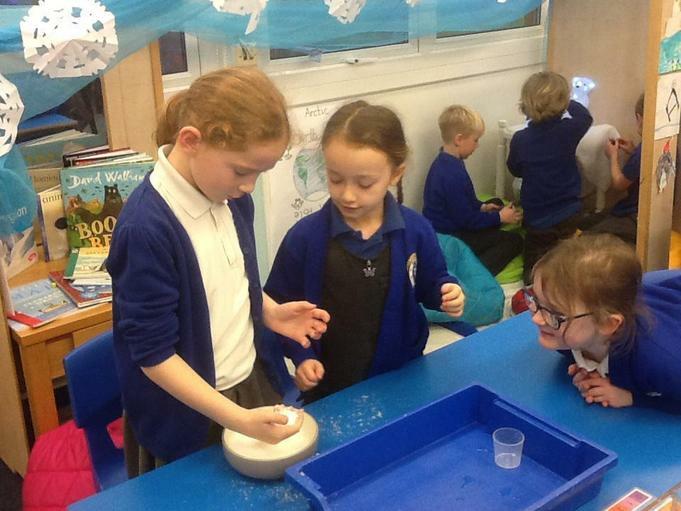 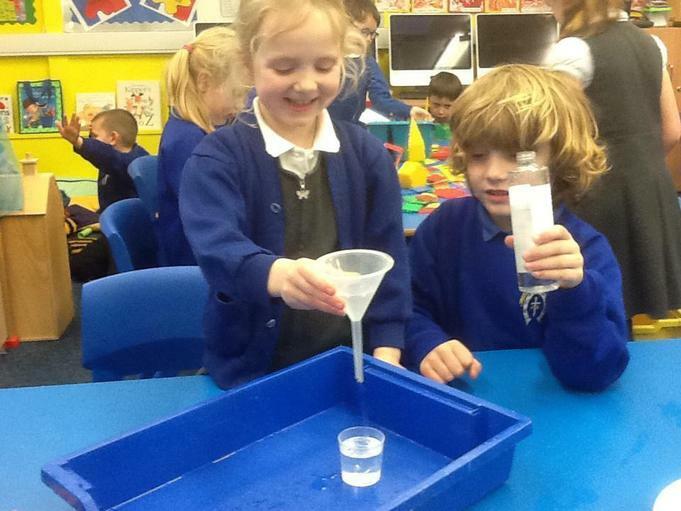 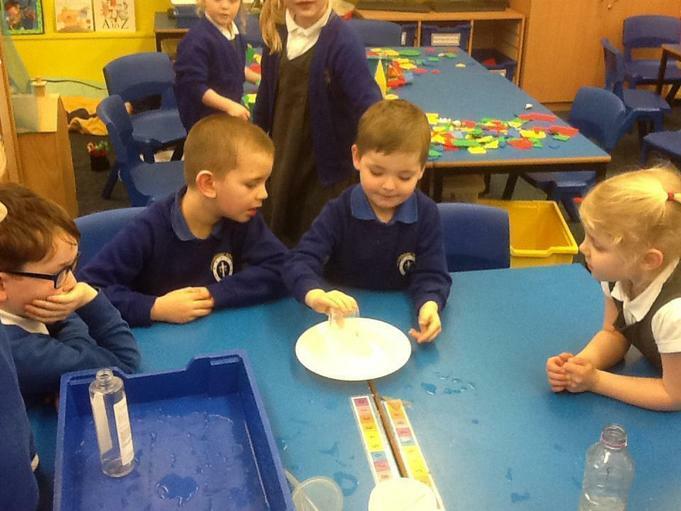 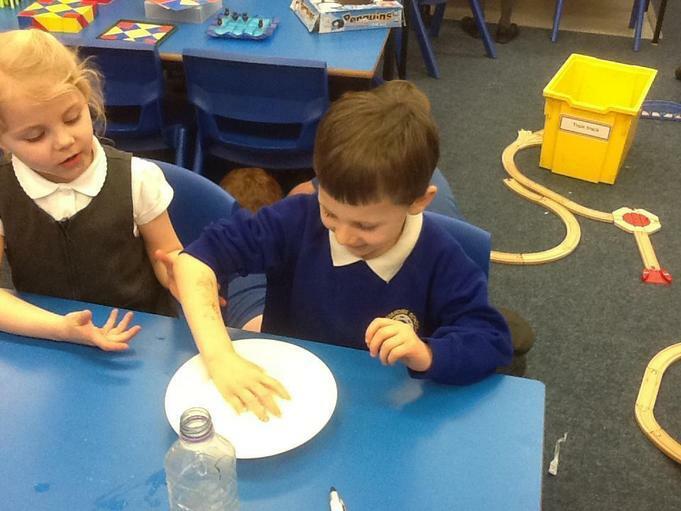 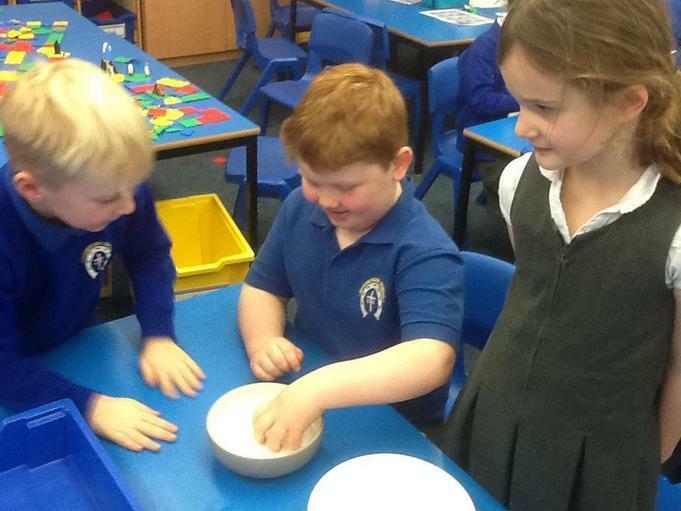 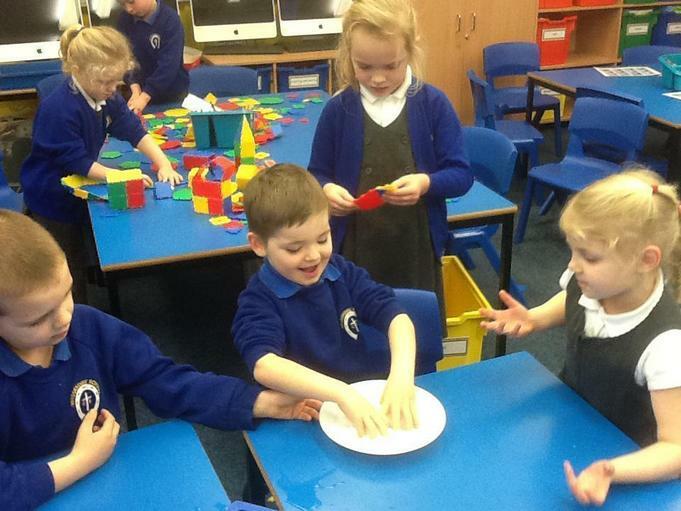 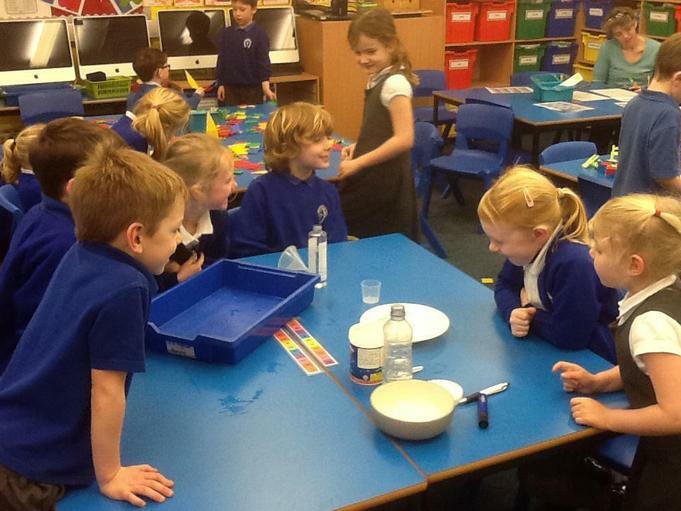 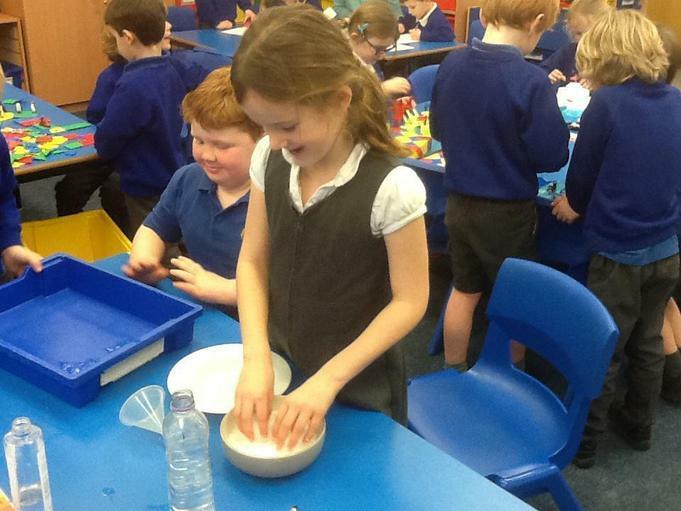 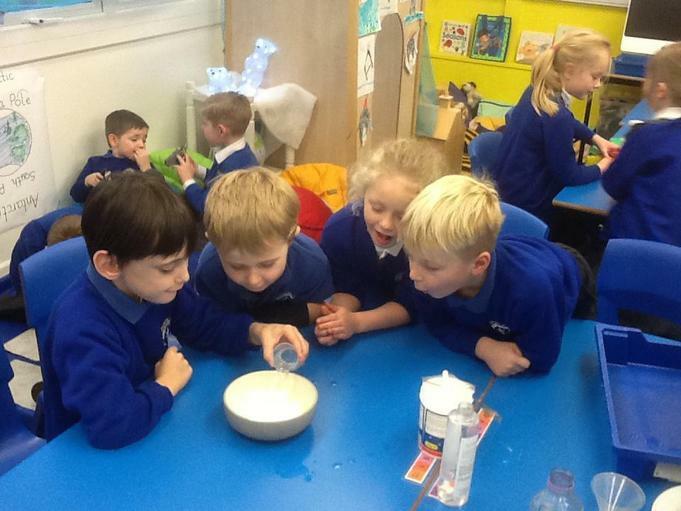 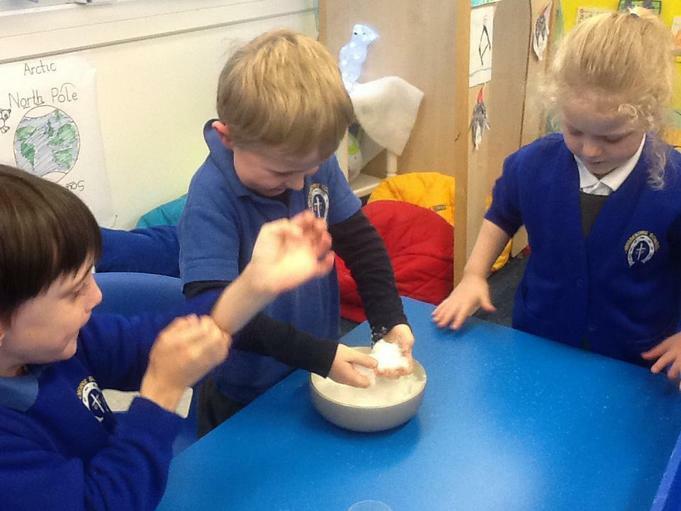 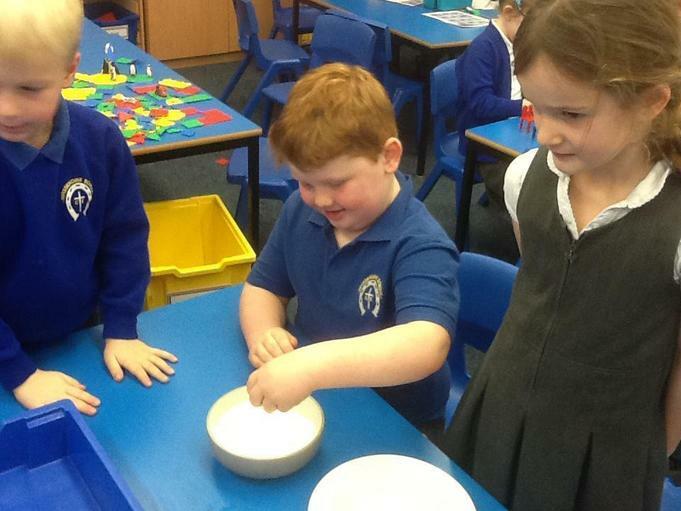 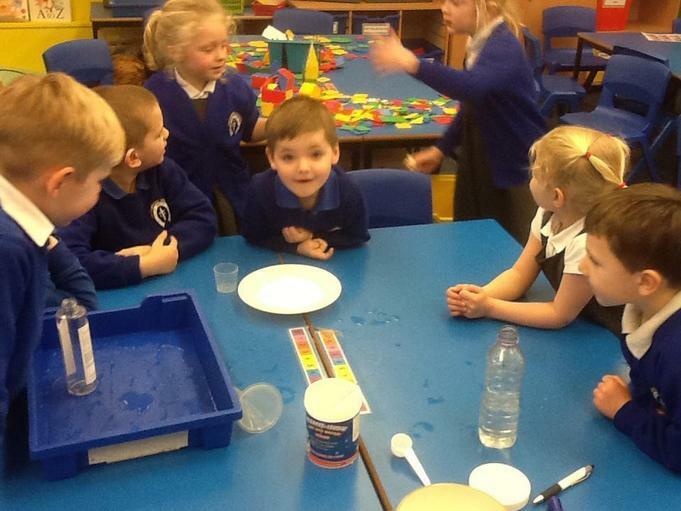 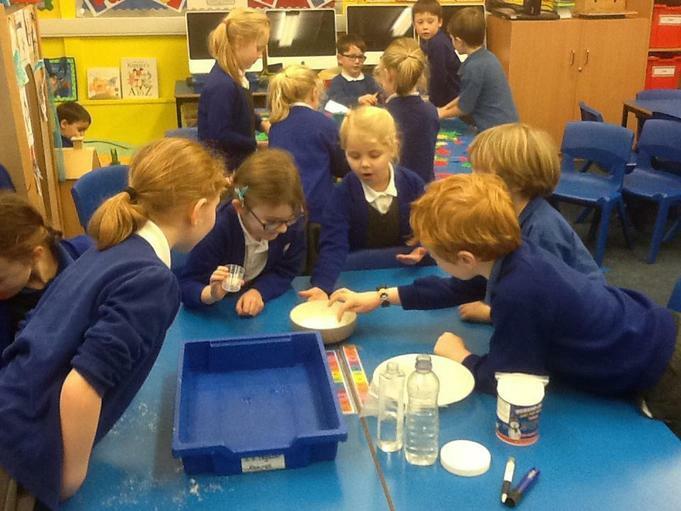 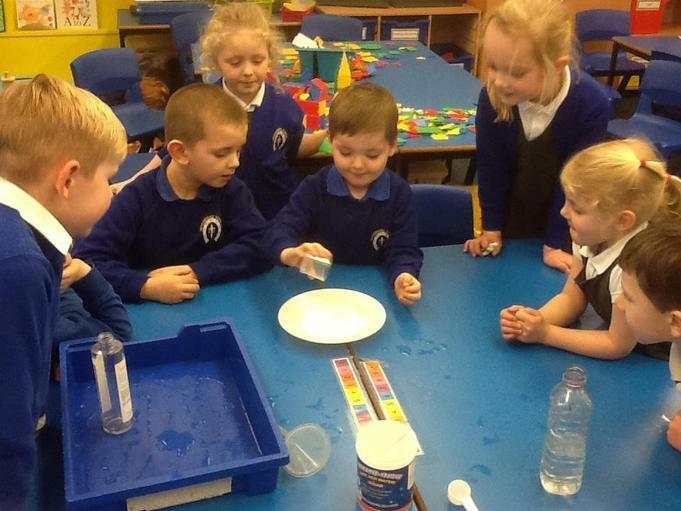 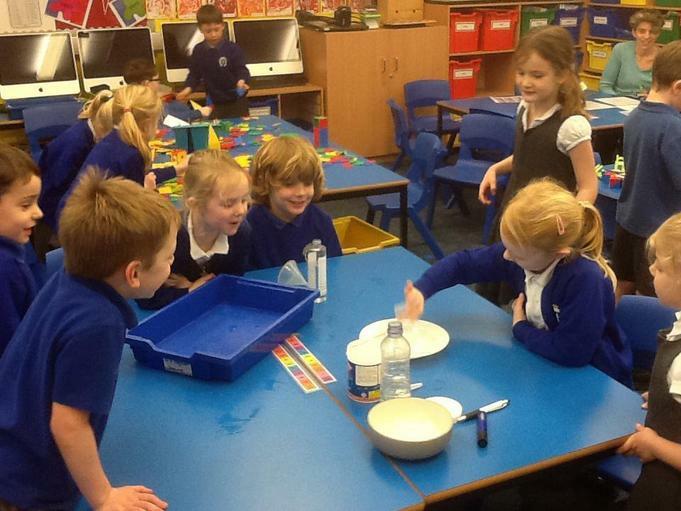 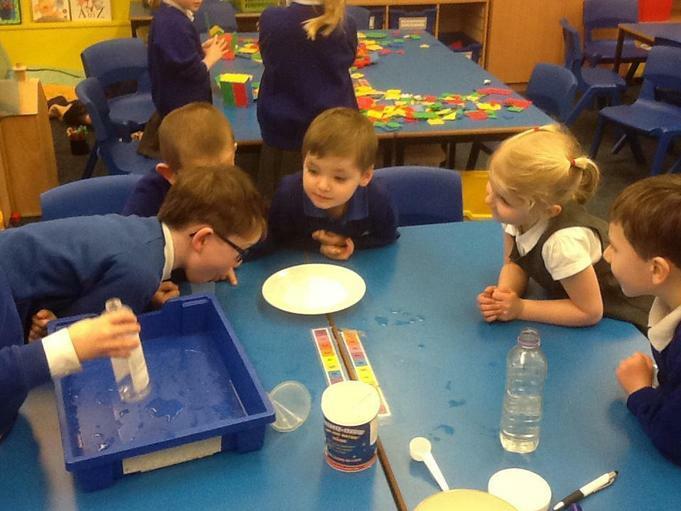 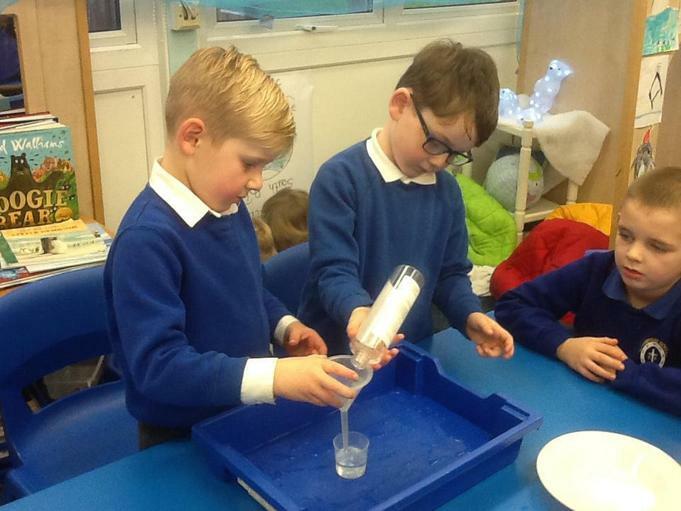 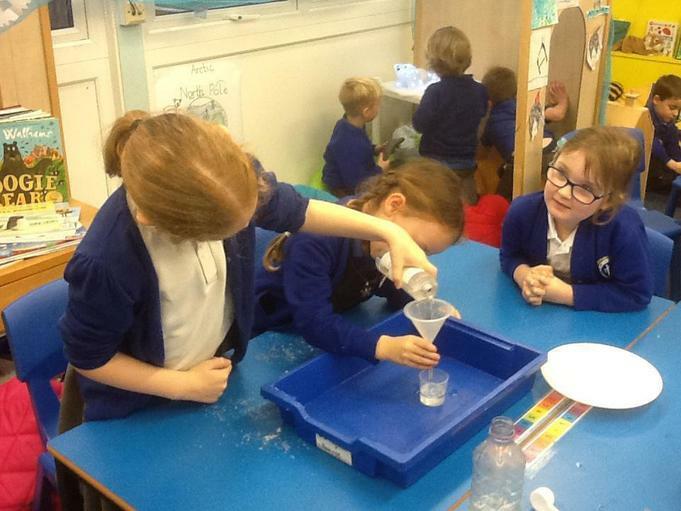 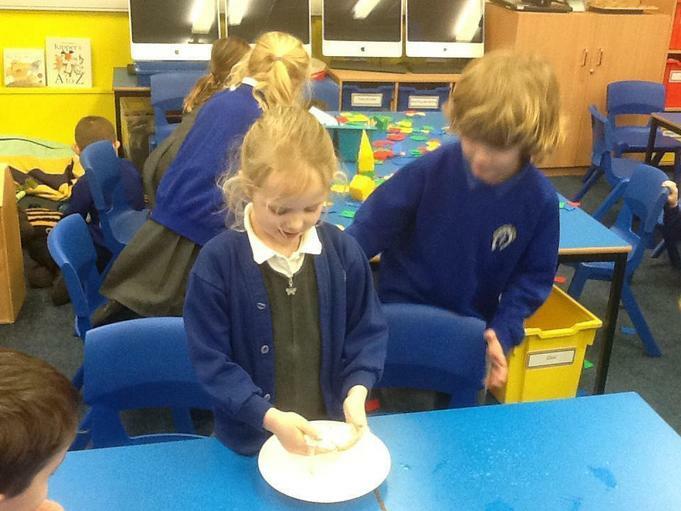 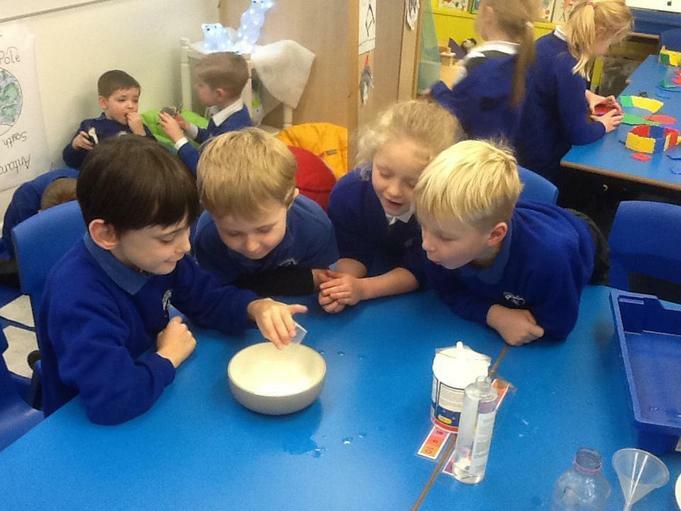 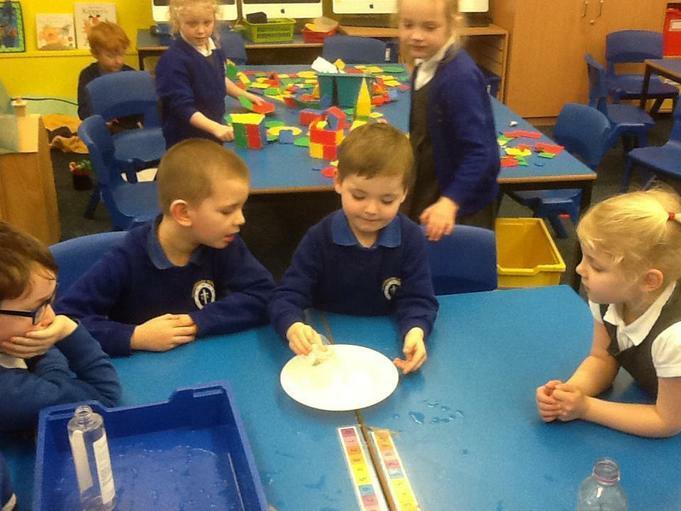 As soon as we added the water, it fluffed up into snow! 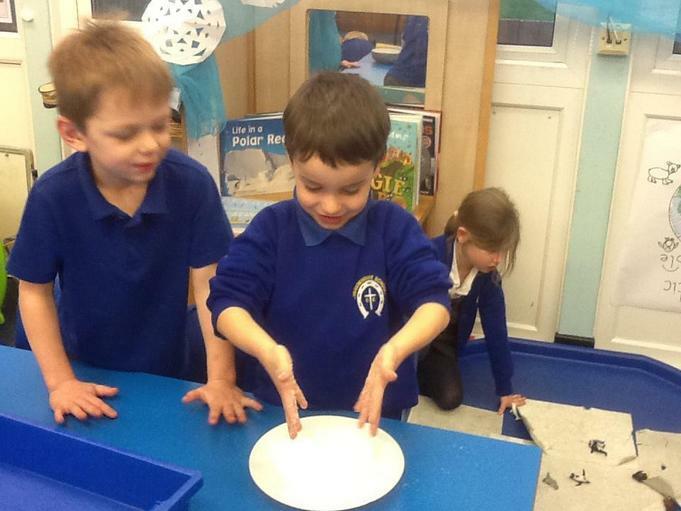 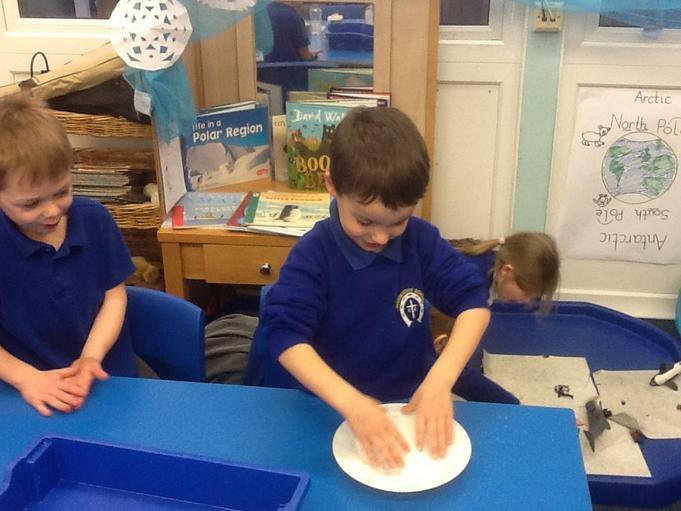 It was great fun to hold and play with and lots of our polar animals were well camouflaged in the snow!